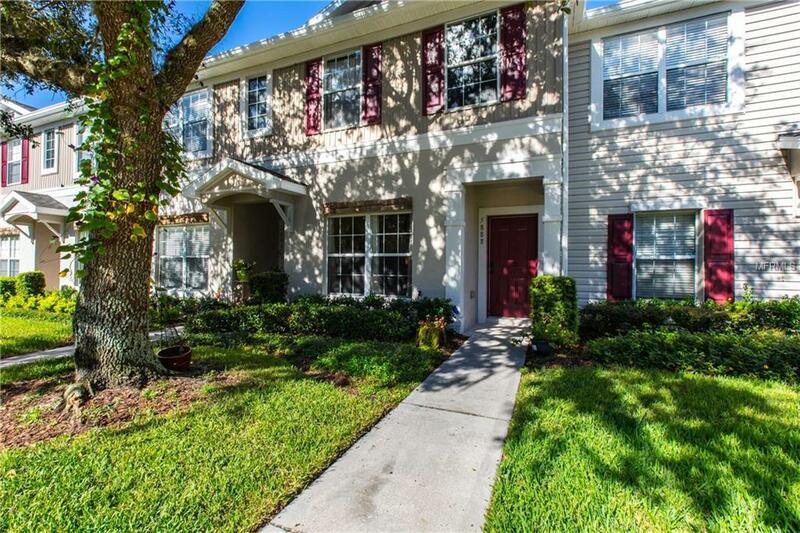 Enjoy maintenance free living in this FishHawk Ranch townhome. This two bedroom, two and a half bathroom offers conservation views from the kitchen/living room combo and second floor master suite! The Kitchen is the center of entertainment on the first level and the streamline floor plan offers the formal dining area located in the front of the living space. The powder room and ample storage areas are all located on first floor. Upstairs you'll find two bedrooms both with private bath and a hall closet with washer/dryer hookup for added convenience. The roomy master suite has a spacious bathroom and provides ample storage with two walk in closets. The community is gated and the home has a built in security system. Each home has a reserved parking space. Fishhawk is one of the top rated communities in Tampa Bay with excellent schools and amazing amenities that include aquatic center, clubhouse, parks, nature trails, concrete and clay tennis courts, over 28 miles of running trails, conservation areas, ponds, Park Square for families to socialize and kids to play and even local shopping. Additional Lease Restrictions Please Verify With Fishhawk Association if Approval is Necessary.